Congratulations to Auto Trader, the winner of the Business Supporter of the Year Award, sponsored by Tilney, at our Birthday Party on 9th February. 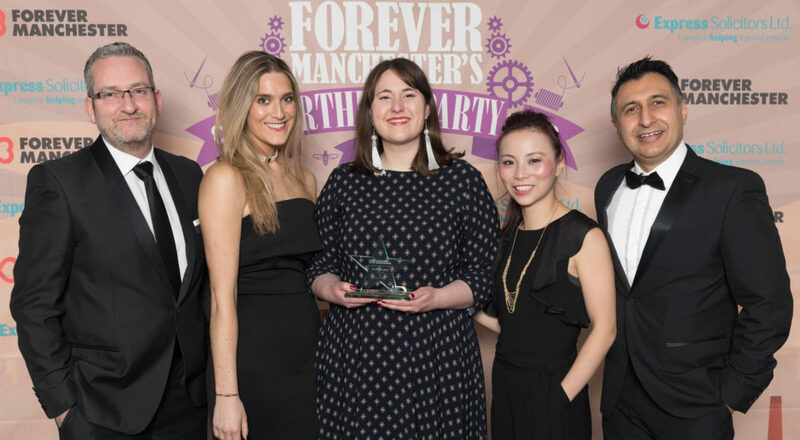 The Business Supporter of the Year Award is in recognition of a company’s commitment, support and contribution to the work of Forever Manchester, making a considerable impact in Greater Manchester’s communities. The award was presented by John Alexander of Tilney. Auto Trader is the UK and Ireland’s largest digital automotive marketplace. Auto Trader sits at the heart of the UK’s vehicle buying process and its primary activity is to help vehicle retailers compete effectively on the marketplace in order to sell more vehicles, faster. They have a staff of over 600 people at its offices at First Street, Manchester. They launched the Auto Trader Community Fund in Spring 2016 and have provided over £50,000 in funding each year for the last two years. They have sponsored the Captain Manchester Award at the Forever Manchester Birthday Party for the last three years. The company promotes its CSR on screens around the building including their work with Forever Manchester. Congratulations Auto Trader, and thank you for your amazing support from all at Forever Manchester!